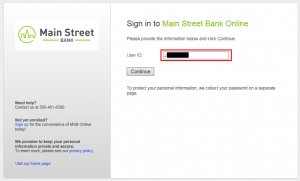 What is Main Street Bank’s Routing Number? Main Street Bank’s routing number is 211370752. 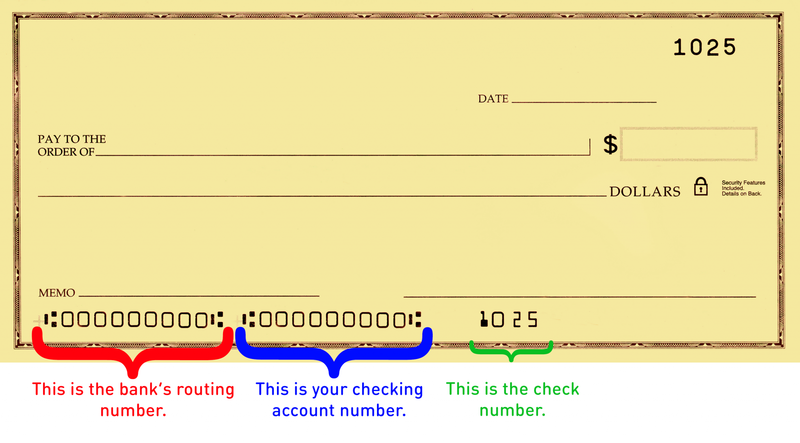 You can find the bank’s routing number, along with your checking account number, on your checks. The first 9 digits are the bank’s routing number, also called an ABA number. The second set of digits are your checking account number. The last set of digits indicate the check number. If you’re looking to change your direct deposit with your employer, or change your automatic deductions from your account, be sure to take a look at our account “Switch Kit” to make it easier for your to switch your account activity at Main Street Bank. How do I report a lost, stolen or damaged Debit or ATM card? 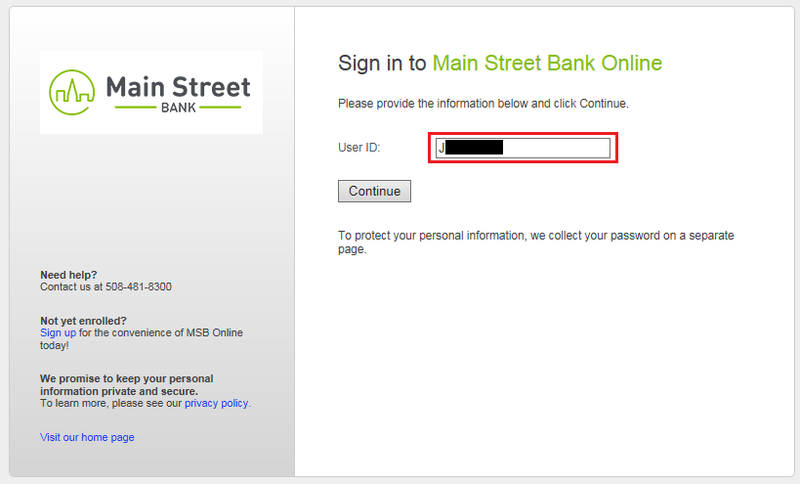 Personal banking customers can enroll by clicking the “Enroll” link in the Online Banking login section of bankmainstreet.com, or by clicking here. Follow the instructions below to enroll your account(s) in Online Banking. 1. By clicking on the “Enroll” link above, you will be brought to a page that will confirm how you want to verify your accounts with us. 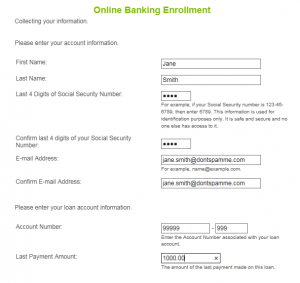 You need to have an account already established to be able to enroll in Online Banking. You can verify your accounts by using your ATM/Debit Card, deposit account, or loan account. Before moving to the next step, make sure to open the “Online Banking Agreement and Disclosure” link and check the box to indicate that you have read and agree to the terms of this disclosure. 2. If using an ATM or Debit Card to verify your accounts, you will fill out the form with all applicable information. Be sure to have your card handy so you can access the CSV code on the back of the card. 3. If using a deposit account to verify your accounts, such as a checking account, savings account, or money market account, you will fill out the form with all applicable information. You will be asked to provide the last statement balance on your account. This will be the ending balance that was listed on your last statement, and is not necessarily your current account balance. 4. If using a loan account to verify your accounts, such as a mortgage, equity loan or line of credit, or personal loan, you will fill out the form with all applicable information. You will be asked to provide your last payment amount. This will be the last payment you made to the loan account. 5. Once you verify your accounts, you will enter your address, mother’s maiden name, and date of birth. 6. Once you’ve entered in all your information, you will then be able to choose a User ID and password to log into Online Banking. When choosing a User ID, keep in mind that it must be at least 8 characters long, include at least 2 letters and 2 numbers, and is case-sensitive. When choosing a password, note that it must be at least 8 characters long as well, include at least 1 letter and 1 number, and is also case-sensitive. Be sure to read up on some Consumer eBanking Fraud Prevention Best Practices for some tips on setting up a “strong” password, and other guidelines to help keep your information safe! 7. If there is information our team needs to verify, we will contact you within 1 to 3 days to let you know your Online Banking is set up. Business customers can enroll in Business Intelligence Online by contacting their relationship manager, visiting one of your nearest branch locations or contact Customer Service. How do I know the Online Banking site is secure? 256-bit Secure Sockets Layer (SLL) technology. To access your accounts, you must use a browser that supports a 256-bit encryption. A User ID and Password are required every time you login. Your sign on information is used for accessing your accounts online – never share them with anyone. The computers that run our site are protected by firewalls, which are systems that prevent unauthorized access to our network. They are constantly monitored to prevent security breaches. A Main Street Bank online session will automatically end, or “time out”, if you do not perform any transactions for twenty minutes. To resume your session, you will have to log back in to Online Banking. When using a new device to log into Online Banking for the first time, an additional level of security is added with an automated phone call to the primary phone number for you, SMS text message to the primary cell phone number for you, or additional “out-of-wallet” questions must be answered before being prompted to enter your password. For personal banking customers, Online Banking is needed to access Mobile Banking. Download “Main Street Bank Mobile” from the Apple® App Store or Google® Play Store. Once you’ve downloaded the app, you can launch it by tapping on the icon on your phone. When prompted, simply log in using your personal Online Banking Login ID and password. First-time enrollees will be required to answer a few challenge questions for authentication and to register your device. To sign up for Business Mobile Banking, contact your relationship manager or our Cash Management Team. I’m locked out of Online Banking. How do I reset my account and password? 1. Visit the Online Banking login page and enter your current User ID. Your User ID is case sensitive. Click on the “Continue” button. 3. You will be prompted to receive a one-time security code to verify your identity. By clicking “Continue with Security Code,” you will receive a phone call to the phone number we have on file for you, or text message to the mobile phone we have on file. 4. You will be prompted to select which phone number your wish to receive a phone call to, or if you have a mobile phone on file with us, you can opt to receive a text message. 5. If you do not have access to a phone, you can also choose to answer a set of security questions to verify your identity instead. When prompted to “Continue with Security Code,” click on the link below to “answer verification questions.” You will then be prompted to fill in your name and date of birth. 6. Once you’ve confirmed your identity, either through a security code or answering verification questions, you can then change your password. Keep in mind, your password must be at least 8 characters long, include a letter, a number, and is case sensitive. Be sure to read up on some Consumer eBanking Fraud Prevention Best Practices for some tips on setting up a “strong” password, and other guidelines to help keep your information safe! If I forgot my Online Banking password, can I change it? How do I get a Main Street Bank Debit or ATM card? Personal banking customers may request a Debit Card or ATM card during the account application process. Additionally, a card may be requested by completing and returning a Personal Debit/ATM Card Application. Business banking customers may request a Debit Card or ATM card during the account application process. Additionally, a card may be requested by completing and returning a Business Debit Card Application. The best part? Debit or ATM cards can be printed on-site at any of our branch locations. Where are the Main Street branches located? What are their hours of operation? For a full listing of all Main Street bank locations and their hours of operation, Click Here. What type of account ownership should I choose? For accounts opened online, if you are the only name that will be on the account, and the only person who will have access to the account, select “Individual” ownership. If there will be more than one person on the account, and all will have access to the account, select “Joint” ownership. All other account ownership types must be opened in one of our branch locations. Banks or other businesses that pay certain kinds of income must file an information return (Form 1099) with the IRS. The Form 1099 shows how much an individual was paid during the year. It also includes the individual’s name and Social Security Number (SSN) or other taxpayer identification number (TIN). Payments reported on a 1099 are generally not subject to withholding. However, “backup” withholding is required in certain situations. A U.S. person, or “United States person” is defined as any United States citizen or alien admitted for permanent residence in the United States, and any corporation, partnership, or other organization organized under the laws of the United States. FATCA stands for the Foreign Account Tax Compliance Act. FATCA is a United States legislation that primarily aims to prevent tax evasion by US taxpayers by using non-US financial institutions and offshore investment instruments.